Great utilization of minimal space. Now, all you need to do is extend the decking to give a BIT MORE space (he says with tongue firmly placed in cheek). On the box it said Windows XP or better so I bought a Mac. Your finished orchid Space is very nice to see. Such nice looking plants as well as nice flowers. well done and thank you for the update. One of my unidentified backyard divisions is celebrating the new space by coming into flower. I'll post Monday or Tuesday to seek help with it. all ur photos ur amazing , u really make me feel jealous that my collection is absolutely nothing compared to urs!!!!! here's my humble pic , please don't laugh! Quote]here's my humble pic , please don't laugh! I dont think anyone will laugh because we all started with our orchids somwhere. Orchidmania has took over with me. The more orchids I see here on the forum the more orchids I would like. so when i do get more orchids I come home with two or three. DDS2007: there is no reason,whatsoever, to laugh at the picture. It is really nice and the plants looks very healthy. Keep at it and post some more as you add more. Everybody's space is just so great. I love looking at all these photos. Townsville, your space looks fantastic! So cozy and welcoming. I'd be spending all my time out there as I do now on my back patio. That shoe rack idea is great. I have one fairly large side wall that's so lonely and empty and since I'm running out of space, I think I'll have to copy your idea here. I just can't bear the thought of not being able to bring home more orchids because I have no room for them.....unacceptable, I say! DDS2007 There's no embarrassment here, that is modern, it's the minimilistic approach. And, that IS the IN thing these days. But as a word of encouragement, do I see a blank wall in the background just begging for a multi tier shelf to be placed in front of it with some color hanging off it ? I love this Pikevi. Soooooooooooo true! DDS2007 - your arrangement is absolutely lovely! Last edited by sandra; 04-23-2007 at 01:06 AM. 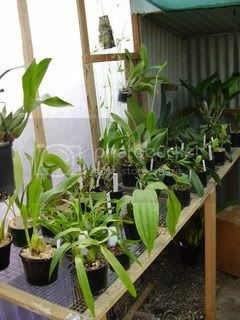 i promise you that this collection will grow , as soon as i get my hands on some orchids!! the guy at the nursery says new orchids will arrive tom my appetite is very huge i think i'll spend every $ i have in my pocket! i just loooooooove orchidmania!!!!! 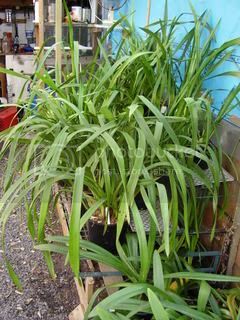 If I read the posts here and in other places correctly, there are lots of people who are looking for soloutions like yours so they can "live with" thir orchids in their regular living spaces. 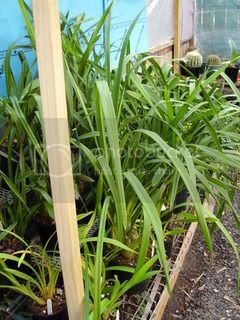 It's an attractive solution that's beneficial for the plants as well. Judging by the number of people who have read this thread (more than 2000!) I believe the information pepole are sharing is something people are interested in and finding useful. Keep up the good work! DDS2007: At least yours is already flowering . I had my first re-bloom almost 4 months after my first Phal!! What is KMNO4 and NO2, and lido? pikevi: yes i'm a dentist , an orthodontist to be specific! i promise u , no lidocaine or N2O for any orchid , oh well maybe the naughty ones would get a shot! nooooo just kidding i've promised i'll love them all the same ! kmarch: those are anaesthetic solutions we use in dentistry thanks a lot for your support , i'm hoping i can expand my collection soon and yes it's been loooooooooots of fun living in with my orchids, i keep staring at them the whole time , i tell u hubby is a bit jealous ! I am sorry for that joke, kmarch. That was for DDS2007. Lidocaine( der. of novocaine ) - used by dentists as local anaesthetic( nerve blocks). Just could not resist teasing DDS2007 . I am sorry about that. DDS2007: " I like all the dentists: I just don't like what they do and say ". Last edited by pikevi; 04-24-2007 at 06:41 AM. Reason: to add additional response. pikevi : eat as much sweets as u would like , just brush ur teeth afterwards ! and to be fair , if i was a patient, i wouldn't like what dentists do as well!! i'm afraid this is becoming more of a dentistry forum ! so tell me , why do u think they call Odont. orchids that way , are they related to dentistry and teeth in any way ? DDS2007: You are quite right. Odontoglossum is from greek odon=teeth + glossum=tongue. I have not seen a real flower but, apparently it has two calluses( teeth) on either side of the lip (glossum). could anyone post a pic of an Odontoglossum , please? i'm thinking of getting one since i'm a dentist !!!!! Just type "Odontoglossum" in your search engine and you'll come up with tons of pics. I just did what kmarch suggested. Strangely not very many clear pictures. The following two URLs seem to have a few good pix. We've gone off the track people. This thread is supposed to be for posting Orchid Spaces ! Now let's get back on track......please ? That was a brief detour and a 'course-correction' was executed in the nick of time, I guess. sorry if we got off track Anton , but kmarch didn't mind !! MEN have died for less. thank God i'm a woman!! NOONE is safe when men are around! The thread got a little off topic and has now fallen silent for a while. I see since then we have added a few new members so this might be a good time to revive this thread. I'd encourage new members to share info on and pics of their personal growing spaces. I and many others have benefited a great deal and got a number of excellent ideas on where and how to adapt and grow in the spaces we already have. So how do you grow your orchids? Here are my happy places. The first is my indoor spot, of course. The second is where most of them will be when it finally gets warm enough! My fiance built both stands. I had noticed my light stand was looking a little empty, and I remembered my Max tenuifolia was outside, so there's a pic of that too. Thanks for sharing the pics snowball. The carts look to be extreemely well-crafted. (applause) Very smart to make the light shelf so you can adjust the height of the light too. Forum members are always looking for clever ideas like these. How long have you been growing like this? With carpentry skills like that HE'S A KEEPER! Anton, he sure is! He even made them to my specifications. We made the light stand last summer. The plants love it, and the adjustable height for the lights is great. It allowed me to figure out where they should be for most of the plants, and I usually have the rear one a little lower, so I have two different growing sections. I like your set up there. I bought a Liberty Taiwan from you recently and along with my other Parvi's and Brachy's I grow in an open type shade house. I bring my Paphs in at night if it gets too cool or the air is to still for them. Lately in Melbourne the nights have been very mild I have to say for this time of year with minimum nearly every night in the 50's. I don't have a picture of my setup right now as I've somehow deleted them from my files but I will take more if I remember and post them here. 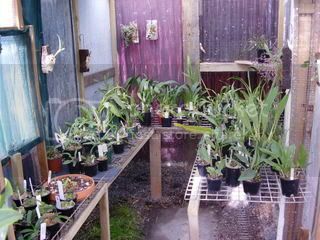 I have a question for you though.......normally in summer i have a layer of 70% white shade cloth and layer of 60% white shadecloth on the orchid house which covers small cattleya's, masdevallias and paphs which all seem to flower ok. During winter I take off the 60% layer which leaves the 70% white. Do you think that's enough for winter in Melbourne? The leaves are green and lush so far but what do you think? Should I add more? I think the higher light in winter should be ok but am in two minds about it, some will do ok but maybe others won't. He sure did a very nice job on those shelves! Maybe he should start making and selling those to orchid hobbyists. I envy those of you with greenhouses or that live in climates that will allow orchids to grow outside year around. I use a grow box that I built and have it in a spare bedroom but once the flowers open I try to set the plants in the house where they can be enjoyed. So this time I tried something different which I thought seemed to work out just fine, that is until my better half decided that it did not belong in front of the window! I had made this cradle 26 years ago which we used for our boys when they were born but it has been sitting around the house for some time so I thought I would put it to good use. So here is a picture of my cradle with some orchids that are in bloom. Hi Darren. Sorry I didn't get back with you on this sooner but I didn't get back to this thread until tonight. I'm afraid i don't know a lot about shade cloth percentages, but i think that's about what I hear folks saying, something like 70 or 75% in winter. Ask John what he does in winter next weekend. I think that's about what he uses. eldone: Clever idea. Your babies look very happy. snowballsarebad: Love the adjustable cart - that guy's a "keeper." Oh I forgot to mention...the shelf on my light cart pulls out. You need two people to do it, but it makes for quick transportation of my entire collection! Very handy. well here is the update. so what is next ? another orchid house and more orchids. I looked today when i tooked the pics and most of the front row of cyms have 3 to 4 flower spikes. I'm jealous here Fred. Outstanding! My growing space is indoors. We have recently closed in a 10x30 outdoor porch to become a TV room. The arch used to be the back wall of the house. The porch wasn't used because the sun was so intense. The windows face due north on to the lake in the back yard, my source of orchid water. I also have windows facing east and west. As you can see, the back room is sunnier than the rest of the house. This picture is taken on Sunday am at 9:30. My orchids and violets seem to really like this room. The ceiling fan runs 24/7. The A/C is on almost all the time, but is set to automatically let the house get to 85 F during the day and go to 76 F at night. I really don't know what the humidity level is in my house. I water by submersion once a week. I just received my first dose of worm tean, so I am going to start misting as of today. I think that will be once a week, too. As you can see, I have plenty of room for more, once I get more confidence. thanks for sharing the pics with us. Very, very pretty Ellen. It's so nice seeing orchids displayed all over the way you've arranged them. Just lovely. It's odd how everywhere I go lately, I see orchids. I had Thai food last night and of course, orchids....big beautiful fuschia phals at the table. I went to put flowers on my fathers gravesite this week and the sites on both sides of his were beautiful strands of orchids and while walking my doggy the other day I noticed a neighbors yard whose trees were covered in mounted and hanging orchids. But I must admit, the prettiest orchid I've seen so far is that beautiful grandbaby of yours. Thanks again. Just had a near heart attack experience, though. I got my worm tea from Jerry Meola earlier this week. Since today is my water day, I mixed my tea and decided to try misting my plants. Since I have everything situated in my house, I decided outside was a better place for misting. That's when the world almost came to an end! My first plant out was the Brassia, very big and top heavy. Yes, you guessed it, the wind blew it over and to add insult to injury, it rolled down the steps of the back porch, yes, ROLLED down six steps. Can't believe it but not a flower broken and it wasn't unearthed. How come, I don't know, but it survived. Then, I went to water the "mother plant". Found this little guy on my skewer. After I took the picture, I skwished it, (it felt good to do it, too.). Then, remembering all the wonderfull things about worm tea, I misted, immersed and sprayed the top of the medium with worm tea. I have no idea what that bug is, but I hope I have done away with it. Then I misted and immersed all my plants for good measure. Sorry, if I have misplased this post, but my heart is still pumping from the experience. My thinking is skewed. whew!!!! 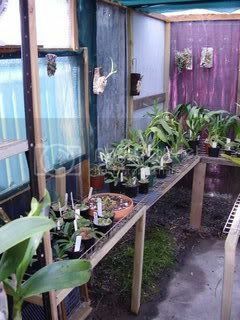 eldone--way to go..old cradle, new babies to care for..
Ellen--I like how you have your orchids everywhere in the house. Your lake looks nice and full, I'm envious I've also been seeing sowbugs in and around my orchids lately..I agree on the feeling after squishing them, nothing messes with my babies.. They are pretty harmless creatures, they dark damp places where they eat dead plant matter, so if you find more may wanna dig around in your bark just incase. If it was the same plant that had the accident i would think it climbed aboard while your plant was on the ground. Tom, they are called by many names..roly-polies, pillbugs..etc. I've heard different things about them so I looked it up and they are supposed to be harmless , they're more like prey items for arachnids and beetles. The ones I see seem to be chewing on my plants' roots , though..so just to be on the safe side I sent them to bug heaven.. Better safe than sorry. Thanks for the info, Tom and Prisana. I will keep an eye on the medium. I haven't seen anymore, but, I will keep looking. This wasn't the same one that went for a trip, the buggy one is my white Phal. I have seen them in many areas of the garden, especially under the pots. I don't particularly like them but they don't seeem to do any harm to plants. Could you imagine them crawling on my "kid chid"? NEver!!!! Good night! the other is a Slater. WOOD LICE!!!! THERE CALLED WOOD LICE!! NO, NOT THE WOOD LICE! Orchid Doctor, help me! 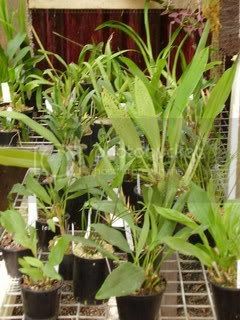 I tried to go to the orchid doctor yesterday to purchace two Vanda for my front porch. However, the orchid doctor was out of town at an orchid doctors show. sniff, sniff.... No wonder bad things happened yesterday. they have some silly names here. I keep my orchids on two granite slabs, next the south facing windows. Very nice Aniko! Your phals look very happy. You both have wonderful growing areas on your home. Plus, i like how you put them all in ceramic orchid pots. Very nice! I had made this cradle 26 years ago which we used for our boys when they were born but it has been sitting around the house for some time so I thought I would put it to good use. So here is a picture of my cradle with some orchids that are in bloom. You made those cradles eldone? Incredible!!! Really outstanding craftsmanship and they look brand new. A really beautiul and creative way to display your orchids. You are right, the granite top is simple and close to the spirit of orchids - and practical of course. When I sit next my desk I can't stop staring at them. Aniko, your flowers are beautiful. The granite really sets them off for sure. You're giving me ideas.... This forum is great. Sandra--Well, woodworking was my first hobby but now orchids are right up there with the woodworking. This way we can enjoy both at the same time without taking up more floor space. P.S. The pic with the swords is a recessed area above my built-in entertainment center. I think it's begging for a bank of grow lights and some phals , paphs, jewel orchids, or all of the above and then some. It's about 8 feet wide, so lots of space. You're using your space wisely. The way you have them set up is fine. Nothing artistic is needed. I like how you're using the chair as a plant stand. m3ph, everything looks very nice. The upper area would be beautiful with plants up there. A little hard to water maybe?, but beautiful. Great looking home. Congrats!